It may come as a surprise to many, but yes, one of K-Pop's biggest girl groups right now - BLACKPINK - just made their historic debut at the Coachella Music & Arts Festival 2019. And oh, Liza Soberano and Enrique Gil were there to witness them slay the show! 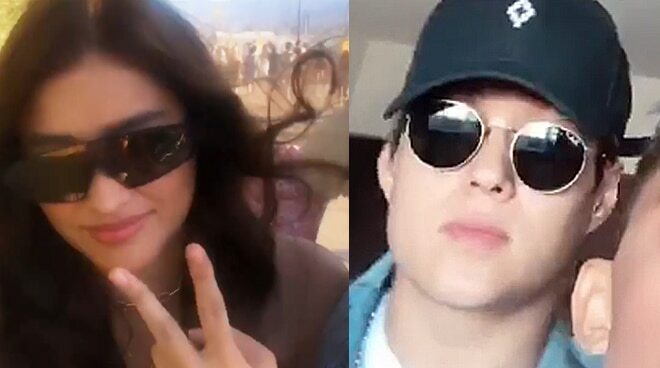 One of Liza Soberano's closest friend, EJ Nacion, gave fans a glimpse of the LizQuen couple's fun moments from the music festival by sharing behind-the-scenes videos through his Instagram stories. Enrique Gil's younger sister Andie also joined them at the music festival held at the Coachella dessert valley in Southern California. BLACKPINK is the first-ever K-Pop group to set foot on the annual music & arts festival, making their show a winning moment for the rest of the world. Meanwhile, Pinoy artist No Rome (Rome Gomez), also made a historic feat as he performed on the main stage of Coachella alongside British pop-rock group The 1975.